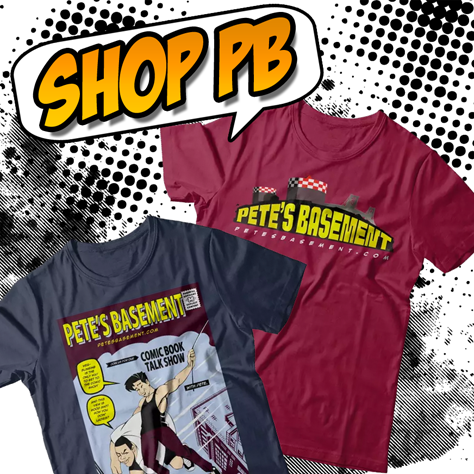 Its a double-sized episode of Pete's Basement this week! The boys have 25 books to review for yous, and they waste no time in getting started. Pete's had a few busy weeks since Comic Con, so Ramon's done all the reading, and Pete will decide afterward if he's interested. With this many books on the roster, there's bound to be more than a few hits! AND its Back to the Future Week, so Pete is sporting his insanely shiny Marty McFly hat from Back to the Future II! Really - just look at it -- its mesmerizing!! This episode is gonna' get crazy!